I LOVE breakfast food, especially when it involves an egg cooked over easy and some type of bread to absorb all the delicious runny yolk. 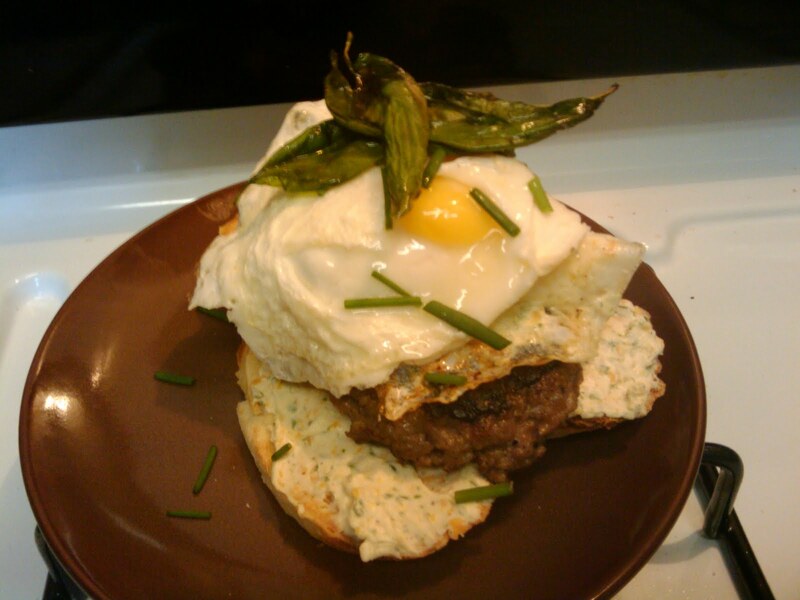 Sunday I created an open faced sausage, egg, and cheese sandwich, and took it to the next level with a few simple ingredient tweaks. I took a short cut from the store by purchasing the pre-diced potatoes in the refrigerator section for a side dish. When the sandwich and the potatoes are plated together this brunch is hard to resist! 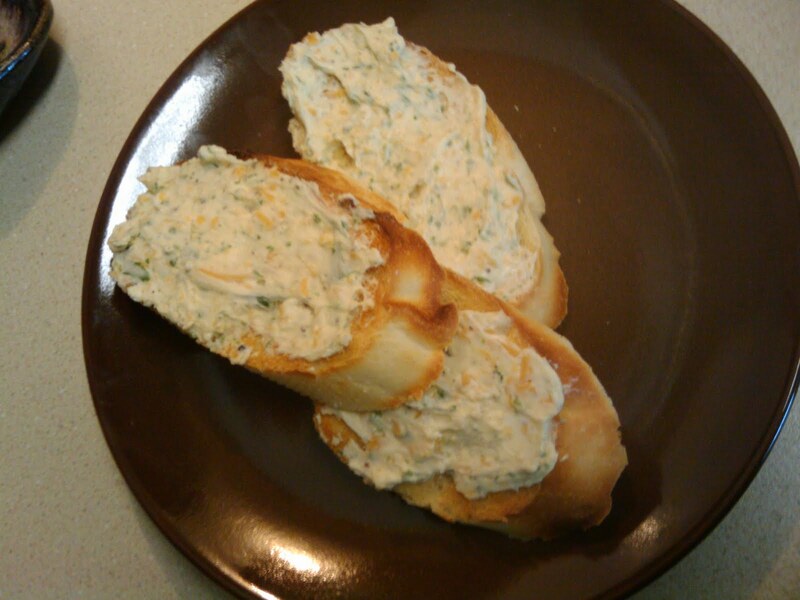 Mix Cream Cheese, Cheddar, Chives, and Salt/Pepper in a food processor (or chop chives and stir together by hand) and set aside. Brown Sausage patties over medium high heat until cooked through about 8 minutes, place on a paper towel lined plate and set aside. Melt butter over medium high heat in a small sauce pan, once melted add basil leaves and fry for about 4 minutes, remove to a paper towel lined plate to crisp up. Toast baguette slices until crispy, but not quite brown and spread cream cheese mixture on them. 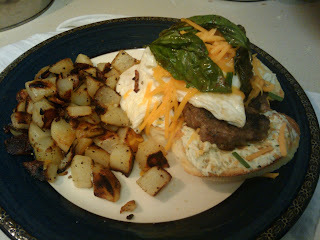 Place sausage patties on top of bread, then fry egg to you liking and place on sausage patties. Garnish with fried basil leaves and any extra chives for extra color and flavor! 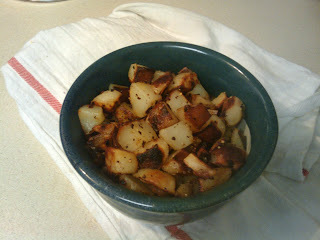 Heat oil in a sauté pan over high heat for about 4 minutes and then add potatoes. Stir potatoes to ensure even coating with the oil, cook for about 7 minutes stirring occasionally. Add water, put top on the pan and let cook for about 5 minutes. The water makes the inside of the potatoes soft and creamy, but the outside stays crispy. After 5 minutes the water should be evaporated, take the lid off give the potatoes a stir while still over the heat and serve warm, with ketchup or hot sauce if desired.